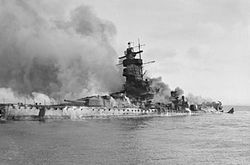 Following the Battle of the River Plate, the German pocket battleship Admiral Graf Spee was scuttled by her crew off Montevideo, Uruguay, on December 17, 1939. The Panama Canal is an artificial 82 km (51 mi) waterway in Panama that connects the Atlantic Ocean with the Pacific Ocean. 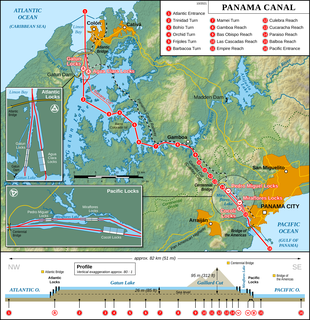 The canal cuts across the Isthmus of Panama and is a conduit for maritime trade. Canal locks are at each end to lift ships up to Gatun Lake, an artificial lake created to reduce the amount of excavation work required for the canal, 26 m above sea level, and then lower the ships at the other end. The original locks are 34 m wide. A third, wider lane of locks was constructed between September 2007 and May 2016. The expanded canal began commercial operation on June 26, 2016. The new locks allow transit of larger, post-Panamax ships, capable of handling more cargo. Brazil was the only country to send troops to the European Theater; however, several countries had skirmishes with German U-Boats and cruisers in the Caribbean and South Atlantic. Mexico sent a fighter squadron of 300 volunteers to the Pacific, the Escuadrón 201 were known as the Aztec Eagles (Águilas Aztecas). The participation of Italy in the Second World War was characterized by a complex framework of ideology, politics, and diplomacy, while its military actions were often heavily influenced by external factors. Italy joined the war as one of the Axis Powers in 1940, as the French surrendered, with a plan to concentrate Italian forces on a major offensive against the British Empire in Africa and the Middle East, while expecting the collapse of the UK in the European theatre. 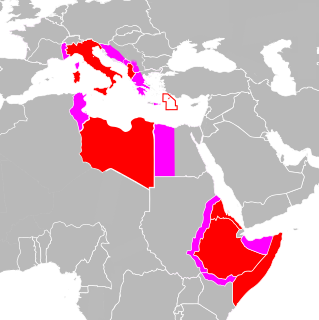 The Italians bombed Mandatory Palestine, invaded Egypt and occupied British Somaliland with initial success. However, German and Japanese actions in 1941 led to the entry of the US and the USSR in the War, thus ruining the Italian plan and postponing indefinitely the objective of forcing Britain to agree to a negotiated peace settlement. The Battle of the Caribbean refers to a naval campaign waged during World War II that was part of the Battle of the Atlantic, from 1941 to 1945. German U-boats and Italian submarines attempted to disrupt the Allied supply of oil and other material. 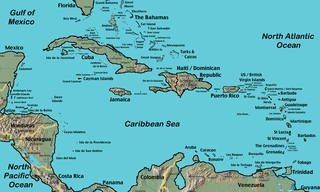 They sank shipping in the Caribbean Sea and the Gulf of Mexico and attacked coastal targets in the Antilles. Improved Allied anti-submarine warfare eventually drove the Axis submarines out of the Caribbean region. The 201st Fighter Squadron was a Mexican fighter squadron, part of the Mexican Expeditionary Air Force that aided the Allied war effort during World War II. The squadron was known by the nickname Águilas Aztecas or "Aztec Eagles", apparently coined by members of the squadron during training. The Brazilian active participation on the battlefield in Europe was divined after the Casablanca Conference. 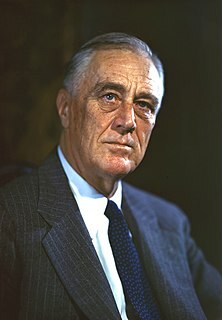 The President of the U.S., Franklin D. Roosevelt on his way back from Morocco met the President of Brazil, Getulio Vargas, in Natal, Rio Grande do Norte, this meeting is known as the Potenji River Conference, and defined the creation of the Brazilian Expeditionary Force. Getúlio Dornelles Vargas was a Brazilian lawyer and politician, who served as President during two periods: the first was from 1930–1945, when he served as interim president from 1930–1934, constitutional president from 1934–1937, and dictator from 1937–1945. After being overthrown in a 1945 coup, Vargas returned to power as the democratically elected president in 1951, serving until his suicide in 1954. Vargas led Brazil for 18 years, the longest of any President, and second in Brazilian history only to Emperor Pedro II among heads of state. He favored nationalism, industrialization, centralization, social welfare and populism – for the latter, Vargas won the nickname "The Father of the Poor". Vargas is one of a number of populists who arose during the 1930s in Latin America, including Lazaro Cardenas and Juan Perón, who promoted nationalism and pursued social reform. He was a proponent of workers' rights as well as a staunch anti-communist. The Office of the Coordinator of Inter-American Affairs, later known as the Office for Inter-American Affairs, was a United States agency promoting inter-American cooperation (Pan-Americanism) during the 1940s, especially in commercial and economic areas. It was started in August 1940 as OCCCRBAR with Nelson Rockefeller as its head, appointed by President Franklin Delano Roosevelt. Cultural diplomacy is a type of public diplomacy and soft power that includes the "exchange of ideas, information, art, language and other aspects of culture among nations and their peoples in order to foster mutual understanding". The purpose of cultural diplomacy is for the people of a foreign nation to develop an understanding of the nation's ideals and institutions in an effort to build broad support for economic and political goals. In essence "cultural diplomacy reveals the soul of a nation", which in turn creates influence. Though often overlooked, cultural diplomacy can and does play an important role in achieving national security efforts. According to author Thomas M. Leonard, World War II had a major impact on Latin American economies. Many countries were raising prices on their exports so that they could support themselves economically. 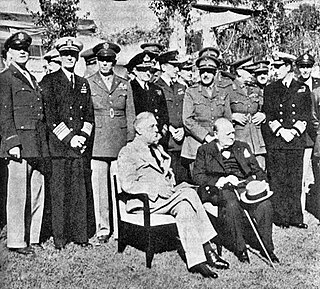 Following the December 7, 1941 Japanese attack on Pearl Harbor, most of Latin America either severed relations with the Axis powers or declared war on them. As a result, many nations (including all of Central America, the Dominican Republic, Mexico, Chile, Peru, Argentina, and Venezuela) suddenly found that they were now dependent on the United States for trade. The United States' high demand for particular products and commodities during the war further distorted trade. For example, the United States wanted all of the platinum produced in Colombia, all of Chile's copper, and all of Peru's cotton. The parties agreed upon set prices, often with a high premium, but the various nations lost their ability to bargain and trade in the open market. Most of Latin America used the war to their advantage by siding with the United States and receiving aid. Peru, however, was an exception. In Peru, the government placed price controls on various products; hence, its foreign reserves did not increase as much as some of the other Latin American states and it lost badly-needed capital. Argentina, despite its pro-German leanings and its hostility towards the United States, did very well as trade increased rapidly. Panama also benefited economically, mainly because of increased ship traffic and goods passing through the canal. A German Junkers Ju 52/3m, which was confiscated by Peru and transferred to the United States Army Air Forces as a war prize, at Howard Field, Panama, in late 1942. National police escorting members of the National Socialist Movement of Chile during the Seguro Obrero Uprising. On September 5, 1938, after four hours of fighting in Santiago, Chilean authorities rounded up and executed nearly sixty rebels who had surrendered. About twenty others were killed during the fighting. Representatives of Latin American governments and United States retailers during a meeting in Washington, D.C. on November 1, 1939, to discuss a means of increasing trade in the Western Hemisphere. President Roosevelt and his Naval Aide, Captain Daniel J. Callaghan, disembarking from USS Tuscaloosa at Gatun Locks, Panama, on February 18, 1940. Soldiers of the American 65th Infantry Regiment in Salinas, Puerto Rico, in August 1941. An Italian Savoia-Marchetti SM.81 tri-motor airliner at Howard Field in 1942. This aircraft, which was acquired by the United States from the Italian-Latin American Airline (LATI), was seized in Chile by local government officials and donated to the United States Army because of shortage of transports in Central America. President Isaías Medina Angarita of Venezuela speaking to Congress during his official state visit to the United States in 1944. Members of Mexico's 201st Air Fighter Squadron and a P-47 Thunderbolt during the Philippines Campaign in 1945. The German submarine U-977 moored at Mar del Plata following her surrender to the Argentine Navy in August 1945. The history of South America is the study of the past, particularly the written record, oral histories, and traditions, passed down from generation to generation on the continent of South America. South America has a history that has a wide range of human cultures and forms of civilization. The Norte Chico civilization in Peru is the oldest civilization in the Americas and one of the first six independent civilizations in the world; it was contemporaneous with the Egyptian pyramids. It predated the Mesoamerican Olmec by nearly two millennia. The United Nations Economic Commission for Latin America and the Caribbean, known as ECLAC, UNECLAC or in Spanish and Portuguese CEPAL, is a United Nations regional commission to encourage economic cooperation. ECLAC includes 46 member States, and 13 associate members which are various non-independent territories, associated island countries and a commonwealth in the Caribbean. ECLAC publishes statistics covering the countries of the region and makes cooperative agreements with nonprofit institutions. ECLAC's headquarters is in Santiago, Chile. The Inter-American Treaty of Reciprocal Assistance was an agreement signed in 1947 in Rio de Janeiro among many countries of the Americas. The central principle contained in its articles is that an attack against one is to be considered an attack against them all; this was known as the "hemispheric defense" doctrine. The treaty was initially created in 1947 and came into force in 1948, in accordance with Article 22 of the treaty. The Bahamas was the most recent country to sign and ratify it in 1982. Several countries have however breached the treaty on multiple occasions. Latin Americans are the citizens of the Latin American countries and dependencies. 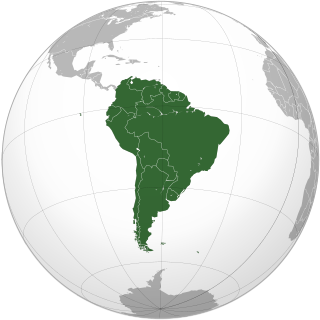 Latin American countries are multi-ethnic, home to people of different ethnic and national backgrounds. As a result, some Latin Americans do not take their nationality as an ethnicity, but identify themselves with both their nationality and their ancestral origins. Aside from the indigenous Amerindian population, all Latin Americans or their ancestors immigrated since 1492. Latin America has the largest diasporas of Spaniards, Portuguese, Black Africans, Italians, Lebanese and Japanese in the world. The region also has large German, French, and Jewish diasporas. The Congress of Panama was a congress organized by Simón Bolívar in 1826 with the goal of bringing together the new republics of Latin America to develop a unified policy towards Spain. 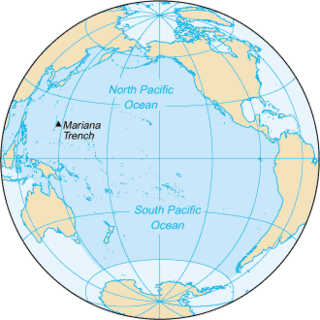 Held in Panama City from 22 June to 15 July of that year, the meeting proposed creating a league of American republics, with a common military, a mutual defense pact, and a supranational parliamentary assembly. 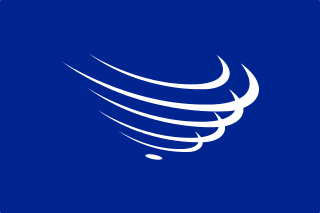 The Latin American Free Trade Association, LAFTA, was created in 1960 in the 1960 Treaty of Montevideo by Argentina, Brazil, Chile, Mexico, Paraguay, Peru, and Uruguay. The signatories hoped to create a market in Latin America and offered tariff rebates among member nations. In 1980, LAFTA reorganized into the Latin American Integration Association (ALADI) which now has 13 members: Argentine Republic, Republic of Bolivia, Federative Republic of Brazil, Republic of Chile, Republic of Colombia, Republic of Cuba, Republic of Ecuador, United Mexican States, Republic of Panama, Republic of Paraguay, Republic of Peru, Eastern Republic of Uruguay and Bolivarian Republic of Venezuela. The Treaty of Asunción was a treaty between the countries of Argentina, Brazil, Paraguay, and Uruguay signed on March 26, 1991. The objective of the treaty, signed in Asunción, was to establish a common market among the participating countries, popularly called Mercosur. Later, the Treaty of Ouro Preto was signed to supplement the first treaty, establishing that the Treaty of Asunción was to be a legally and internationally recognized organization. Latin American involvement in international peacekeeping dates back to the start of United Nations peacekeeping efforts with the Organization's founding in the 1940s but has seen a sharp acceleration in recent years. 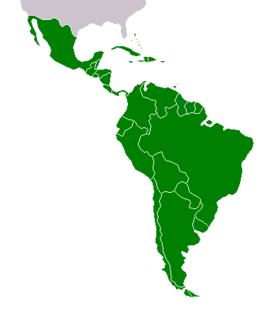 Latin America–United States relations are relations between the United States of America and the countries of Latin America. Historically speaking, bilateral relations between the United States and the various countries of Latin America have been multifaceted and complex, at times defined by strong regional cooperation and at others filled with economic and political tension and rivalry. Although relations between the U.S. government and most of Latin America were limited prior to the late 1800s, for most of the past century, the United States has unofficially regarded parts of Latin America as within its sphere of influence, and for much of the Cold War (1947–1991), actively vied with the Soviet Union for influence in the Western Hemisphere. The integration of Latin America has a history going back to Spanish American and Brazilian independence, when there was discussion of creating a regional state or confederation of Latin American nations to protect the area's newly won autonomy. After several projects failed, the issue was not taken up again until the late 19th century, but now centered on the issue of international trade and with a sense of pan-Americanism, owing to the United States of America taking a leading role in the project. 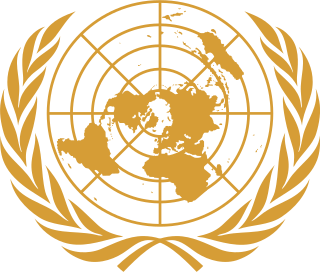 The idea of granting these organizations a primarily political purpose did not become prominent again until the post-World War II period, which saw both the start of the Cold War and a climate of international cooperation that led to the creation of institutions such as the United Nations. It would not be until the mid-20th century that uniquely Latin American organizations were created. Operation Bolivar was the codename for the German espionage in Latin America during World War II. It was under the operational control of Department VID 4 of Germany's Security Service, and was primarily concerned with the collection and transmission of clandestine information from Latin America to Europe. Overall, the Germans were successful in establishing a secret radio communications network from their control station in Argentina, as well as a courier system involving the use of Spanish merchant vessels for the shipment of paper-form intelligence. Latin America as a region has multiple nation-states, with varying levels of economic complexity. 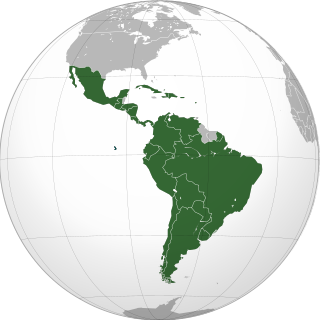 The Latin American economy is an export-based economy consisting of individual countries in the geographical regions of Central America, South America, and the Caribbean. The socioeconomic patterns of what is now called Latin America were set in the colonial era when the region was controlled by the Spanish and Portuguese empires. Up until independence in the early nineteenth century, colonial Latin American regional economies boomed. Many parts of the region had favorable factor endowments of deposits of precious metals, mainly silver, or tropical climatic conditions and locations near coasts that allowed for the development of cane sugar plantations. In the nineteenth century following independence, many economies of Latin America declined. In the late nineteenth century, much of Latin America was integrated into the world economy as an exporter of commodities. Foreign capital investment, construction of infrastructure, such as railroads, growth in the labor sector with immigration from abroad, strengthening of institutions, and expansion of education aided industrial growth and economic expansion. A number of regions have thriving economies, but "poverty and inequality have been deeply rooted in Latin American societies since the early colonial era." 1 2 "Latin America | International Encyclopedia of the First World War (WW1)". encyclopedia.1914-1918-online.net. Retrieved 2018-12-05. 1 2 3 4 5 6 7 8 9 10 11 Leonard, Thomas M.; John F. Bratzel (2007). Latin America during World War II. Rowman & Littlefield. ISBN 0742537412. 1 2 "Cryptologic Aspects of German Intelligence Activities in South America during World War II" (PDF). David P. Mowry. Retrieved August 9, 2013. 1 2 "German Espionage and Sabotage Against the United States in World War II". Archived from the original on December 5, 2001. Retrieved August 9, 2013. ↑ Cramer, Gisela; Prutsch, Ursula, "Nelson A. Rockefeller's Office of Inter-American Affairs (1940–1946) and Record Group 229", Hispanic American Historical Review 2006 86(4):785–806; doi : 10.1215/00182168-2006-050. ↑ Kornel Chang, "Muted reception: US propaganda and the construction of Mexican popular opinion during the Second World War." Diplomatic History 38.3 (2013): 569-598. ↑ Lars Schoultz (2014). National Security and United States Policy Toward Latin America. p. 175. ↑ Reich, pp 270-75, 305-17. ↑ Pearcy, Thomas L. (2006). The History of Central America. Greenwood Publishing Group. ISBN 0313322937. ↑ Leonard, Thomas M. (2011). The History of Honduras. ABC-CLIO. ISBN 0313363048. 1 2 Sizonenko, Alexander (26 April 2015). "América Latina y la URSS en la Segunda Guerra Mundial". Russia Beyond the Headlines. Retrieved 19 December 2015. Leonard, Thomas M.; John F. Bratzel Latin America during World War II (Rowman & Littlefield, 2007). ISBN 0742537412.